Painter, engraver and sculptor. He studied in the Saint Jordi’s Fine Arts School and in the San Cugat del Vallés’s International School of Wall Painting (1959-1962). 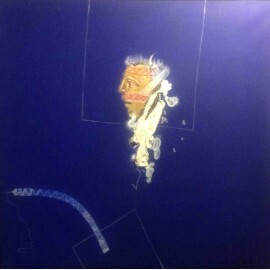 In the 70’s he met Rafael Bartolozzi with whom started to collaborate. 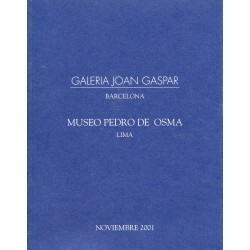 During more than one decade they were realizing artistic projects that marked the history of Spanish contemporary art. Between these are standed out the paintings of the exterior fronts of the Tipel’s factory in Parets for the Vallès and the house for Camilo José Cela in Mallorca. 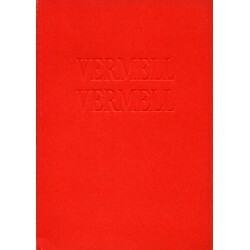 His first work was near to the unformalism which he left in 1961. 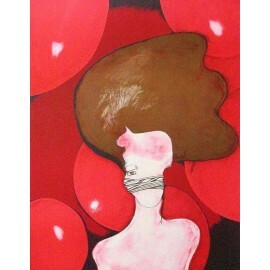 Since that moment his work moved towards the surrealistic world and the pop art’s esthetic. 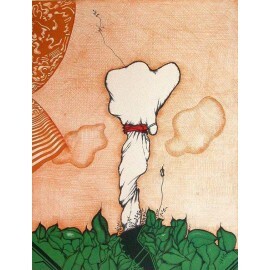 His work is present at the Museo Nacional Reina Sofía (Madrid); Contemporany art Museum (New York); the Museu de Arte de São Paulo (Brazil) and the Museo de Bellas Artes of Vitoria between others. ARRANZ-BRAVO Eduardo There are 13 products. 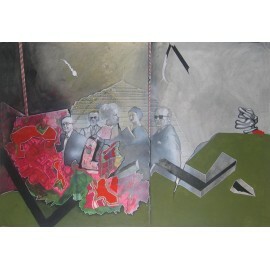 Graphic work Artist: Eduardo Arranz-Bravo Title: La mort de Jerónimo Year: 1973 Media: Painting on canvas Size: 81 x 81 cm. Attention! The colour that you see at you screen may vary from the original work. ARRAZ-BRAVO Eduardo. "Home Camp". 1973. ARRAZ-BRAVO Eduardo. "Grups 3". 1976. 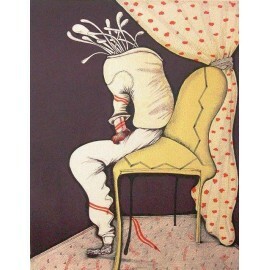 Original work Artist: Eduardo Arranz-Bravo Title: Grups 3 Media: Painting on paper Year: 1976 Size: 70 x 100 cm. Attention! The colour that you see at you screen may vary from the original work. 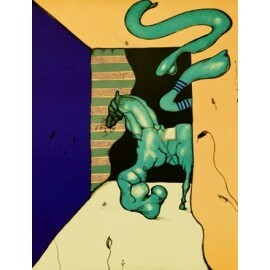 Historical poster Artists: Eduardo Arranz-Bravo and Rafael Bartolozzi Title: "Sala Gaspar" (poster from the exhibition) Year: 1973 Size: 80 x 56,5 cm. Printing method: offset Attention! The colour that you see at you screen may vary from the original poster. Tiny foxing spots may be present. 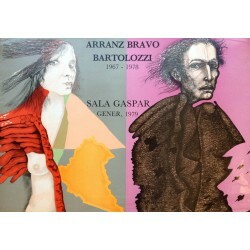 ARRANZ-BRAVO & BARTOLOZZI. Sala Gaspar. 1979. 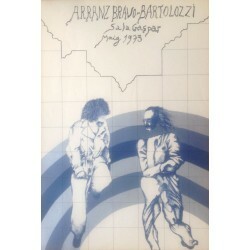 Historical poster Artists: Eduardo Arranz-Bravo and Rafael Bartolozzi Title: "Arranz-Bravo / Bartolozzi, their creative period 1967-1978" (poster from the exhibition) Year: 1979 Size: 62 x 89,5 cm. Printing method: offset Attention! The colour that you see at you screen may vary from the original poster. Tiny foxing spots may be present. 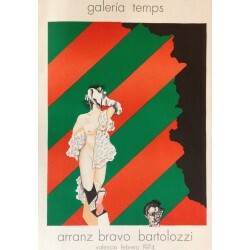 Historical poster Artits: Eduardo Arranz-Bravo and Rafael Bartolozzi Title: "Arranz-Bravo / Bartolozzi. Escultura" (from the sculpture exhibition at Sala Gaspar) Year: 1977 Size: 69,5 x 49,7 cm. Printing method: offset Attention! The colour that you see at you screen may vary from the original poster. Tiny foxing spots may be present. 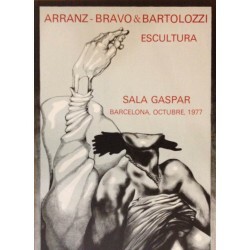 Historical poster Artists: Eduardo Arranz-Bravo and Rafael Bartolozzi Title: "Arranz-Bravo / Bartolozzi" (from the exhibition at Galeria Temps, Valencia, in February1974) Year: 1974 Size: 80,5 x 60 cm. Printing method: offset Attention! The colour that you see at you screen may vary from the original poster. Tiny foxing spots may be present.